This significant public project forms the community heart of Green Square, Australia’s largest urban renewal project. The project redefines the traditional idea of the library, merging the building with the public plaza to create a range of indoor and outdoor spaces for learning and gathering. The library sits largely below ground with glazed geometric elements popping up into the plaza space. The library includes a generous open plan community room, a green walled amphitheatre, a storytelling garden, and a music room and lofty reading room inside a 6 storey glazed tower. The landscape includes a water feature, gathering lawn, outdoor power points and open space for festivals and events. The design is inviting and intentionally playful and encouraging spontaneous visits from passers-by. The project was the winning scheme in an international design competition organised by the City of Sydney. 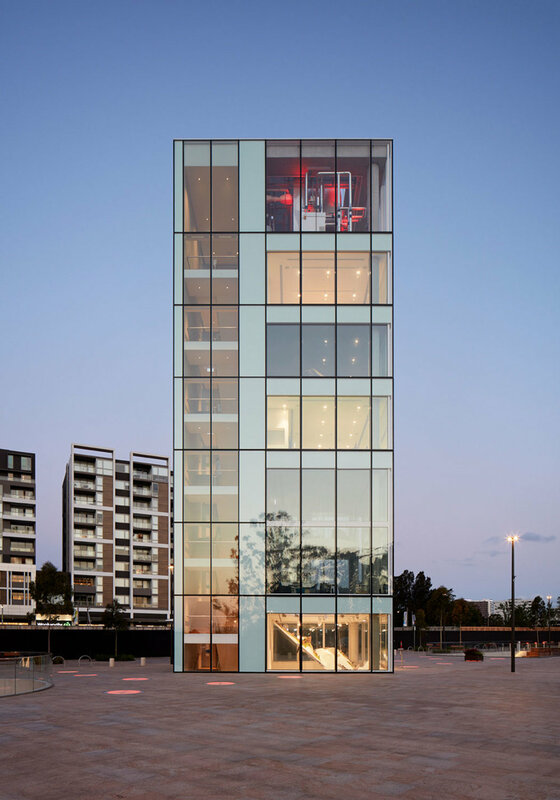 A jury of leading Australian and international architects made the unanimous decision based on the design’s innovative urban and architectural response. The library and plaza opened in September 2018 with 500 new memberships in the first week alone. The library was named winner of the 2018 AR International Library Awards. ""It has the potential to be one of the most exciting places to be in Sydney, it will create a real bombshell in this place"